This weekend, we had our first real snow of the season. Although I enjoy warm weather more than cold temperatures, snow is a pretty diversion every once in a while. But what do you wear in the snow and still look chic? Here’s a look at some après ski chic from some of my favorite style icons. Charade is one of my favorite Audrey Hepburn movies. 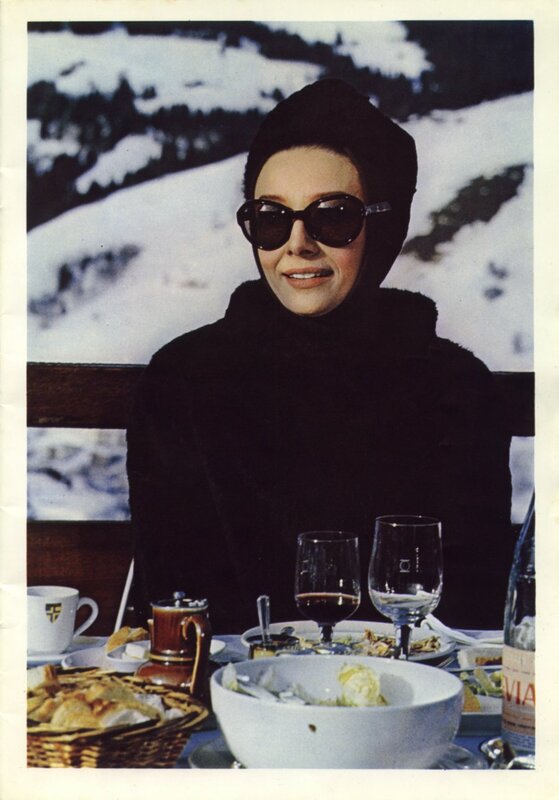 In the beginning of the film, Audrey Hepburn’s character, Regina Lampert, looks cool as she stays warm at the jet set ski resort in Megève, Switzerland in this chic ensemble. So simple and elegant. 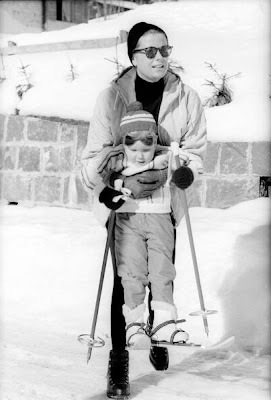 Princess Grace helps young Princess Stephanie on skis. Great sunglasses and neutral tones are a perfect look. You could channel your inner Princess Grace with this outfit on the slopes today and look fantastic. Good style is timeless. 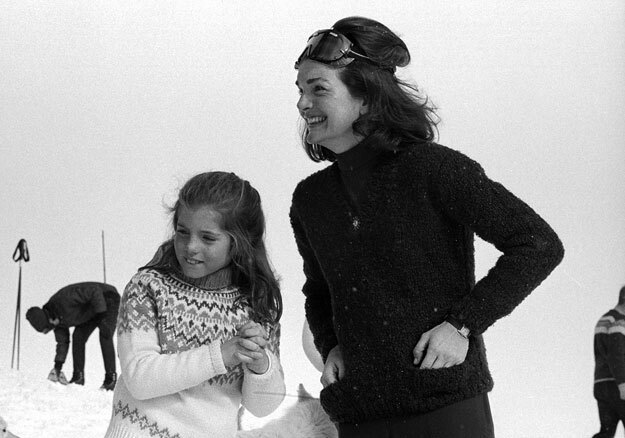 Jackie Kennedy wears what looks like a boiled wool jacket, turtleneck, and slim pants to keep warm while she's skiing. Caroline's fair isle sweater is something that my twincesses could wear now. 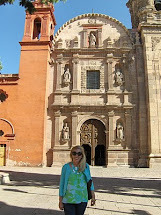 Isn't it amazing that styles that were perfect 40 or 50 years ago are so timeless? What do you wear in the winter to stay warm while you are skiing or enjoying the snow? Yes, the timeless style of decades past still reign true today. There is nothing better than classic fashion! We only sky every few years but to keep warm anytime I wear cashmere. It's the only thing that isn't itchy that keeps me truly warm. I live in Utah and we try to go skiing every other week. I just layer layer layer. My father inlaw says if you are cold or your boots don't fit right you won't have any fun.